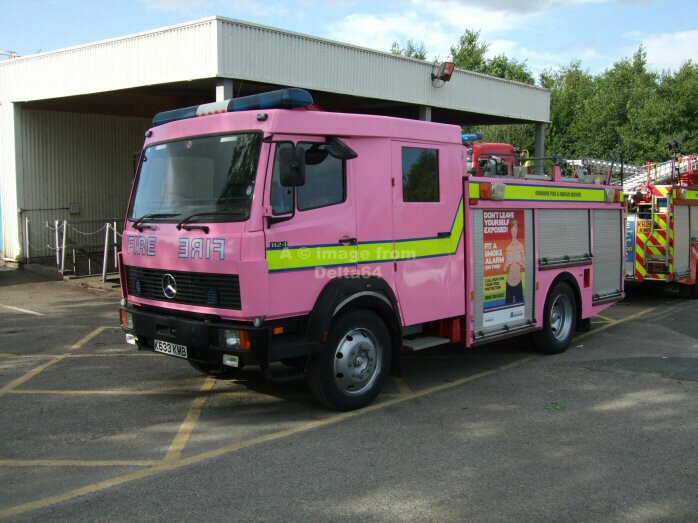 This page contains a selection of pictures of vehicles which are either not yet allocated, not allocated to a specific station, or the exact allocation is unknown. 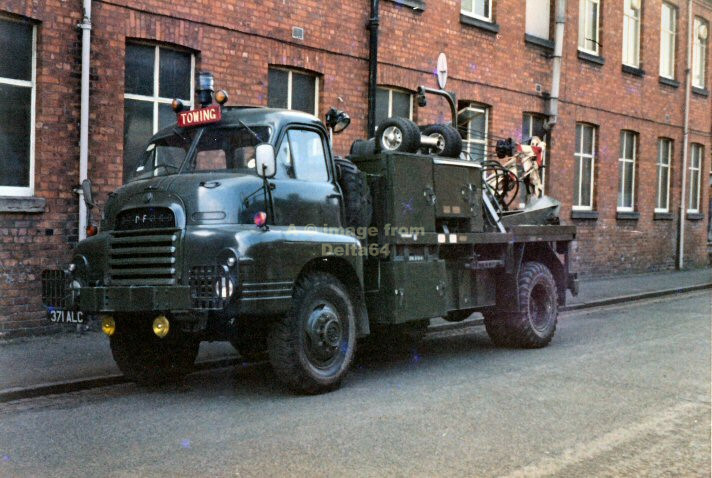 Former AFS Bedford R.V. 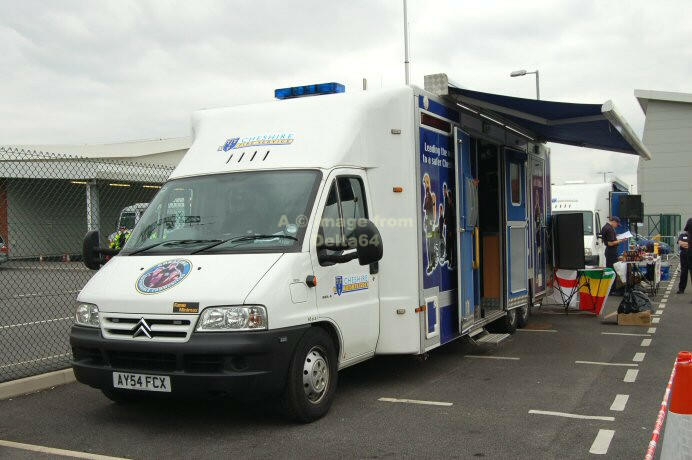 371ALC moved from Lancashire to Cheshire. 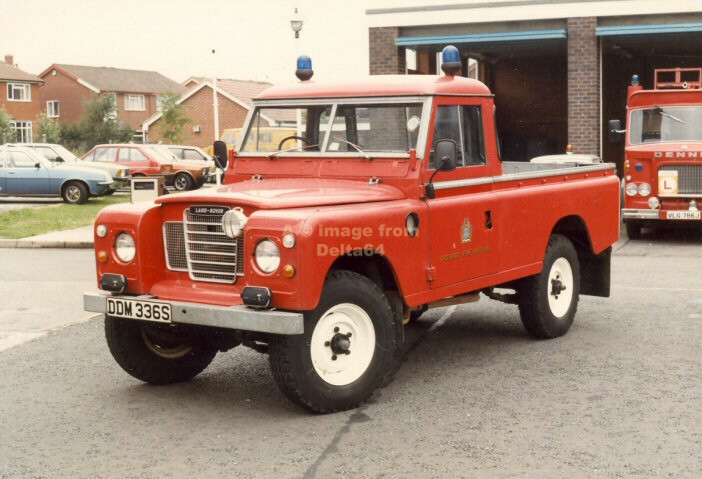 Land Rover DDM336S had been allocated to the Driving School at Runcorn when seen, 13 July 1986. 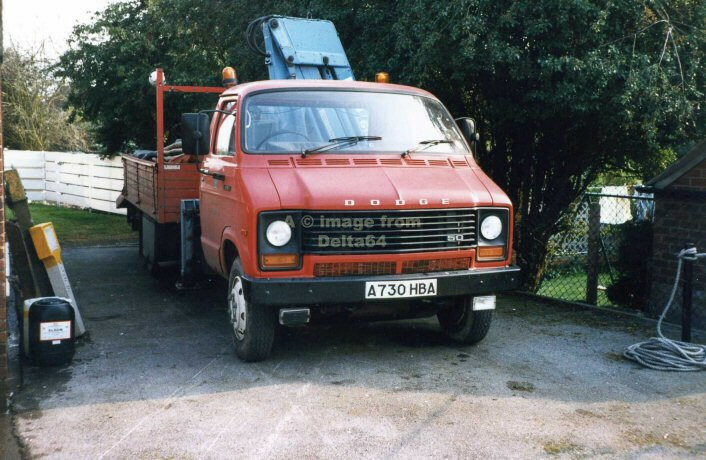 Dodge 50 A730HBA was a GPL based at workshops. 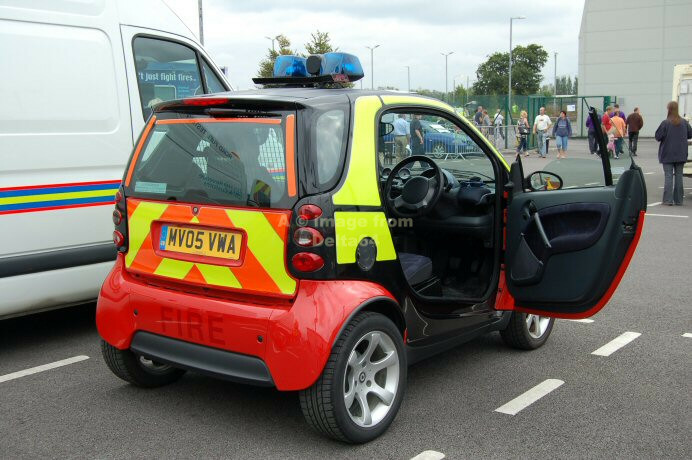 Does this rank as one of the most versatile fire service vehicles ever built? 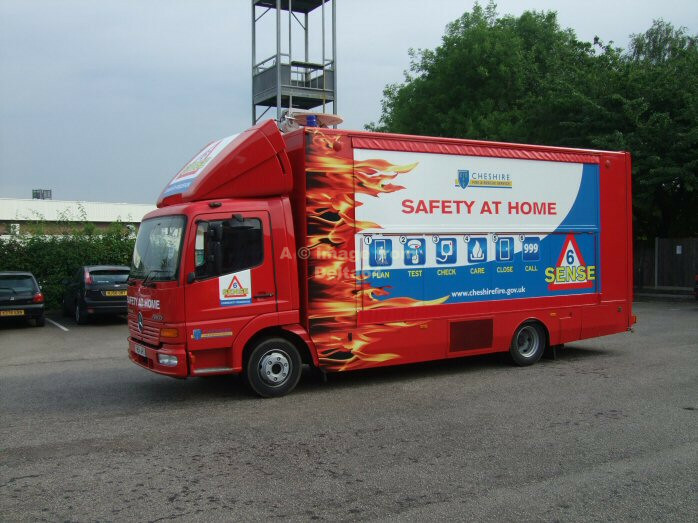 GMC H443AMA is now the Chip Pan demonstrator. 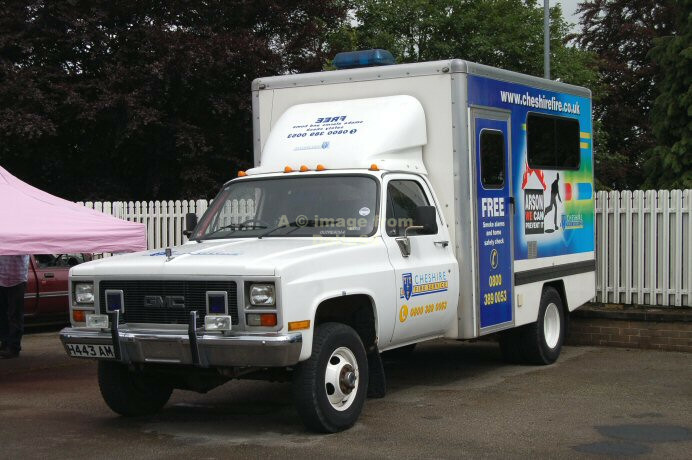 It was seen at Widnes 29 September 2007. 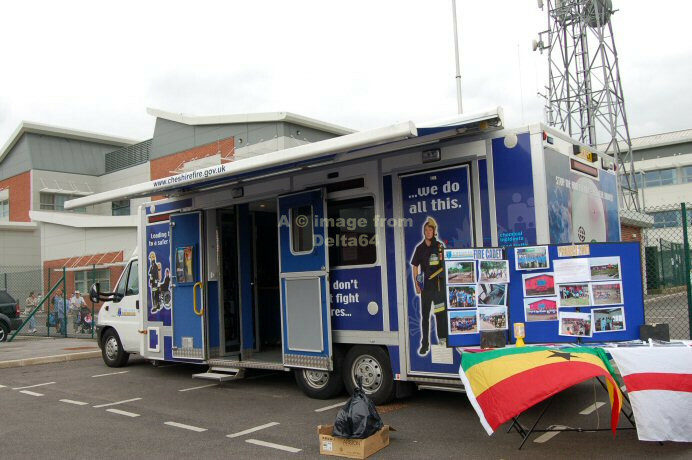 Another shot of 'OUTREACH 4' H443AMA seen at Congleton, 19 July 2009. 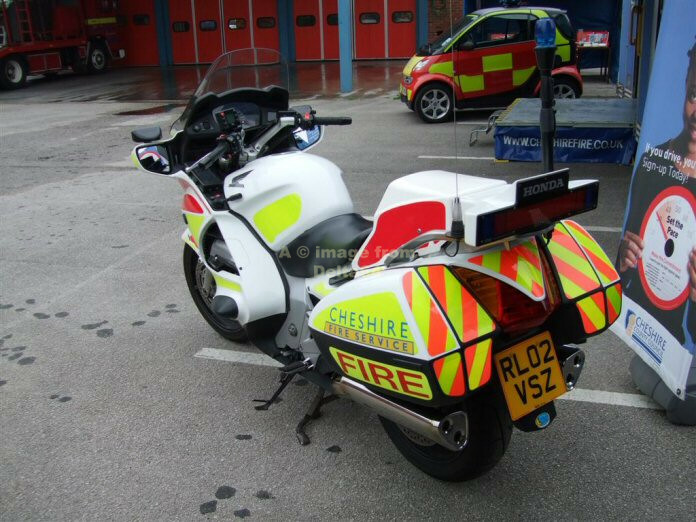 Honda 1300 Fire Bike RL02VSZ was seen at Headquarters, 3 October 2007. Honda RL02VSZ was seen in Oakmere just after a repaint, 21 April 2012. 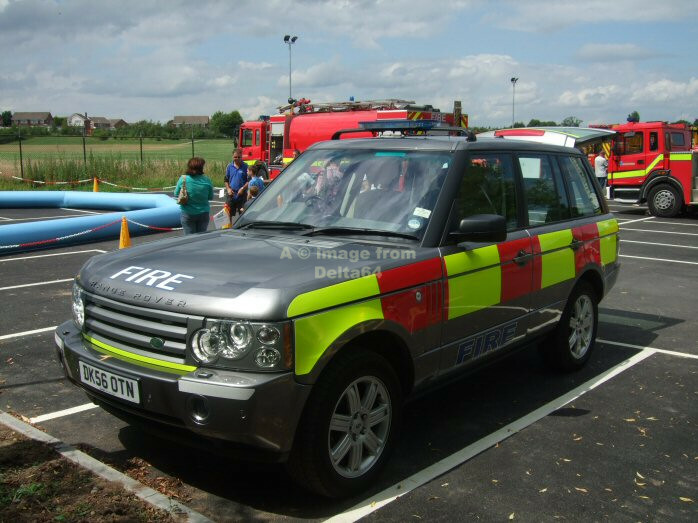 Land Rover RA05RGO was seen at the M5 Strensham Services in connection with the Gloucestershire floods, 23 July 2007. 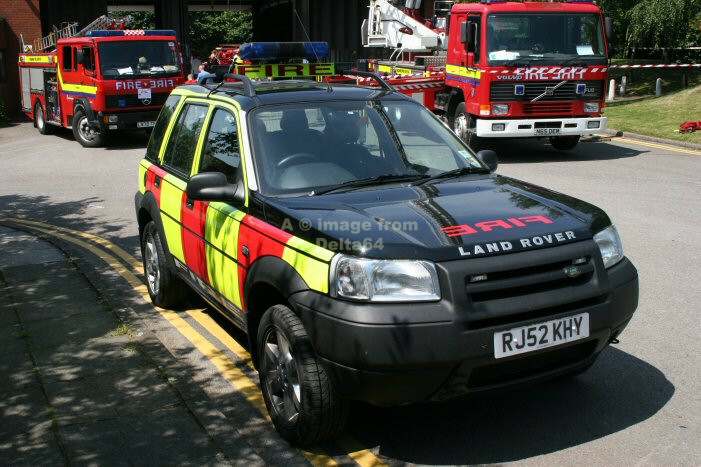 Land Rover Freelander RJ52KHY is used as an Incident Commander's Vehicle. 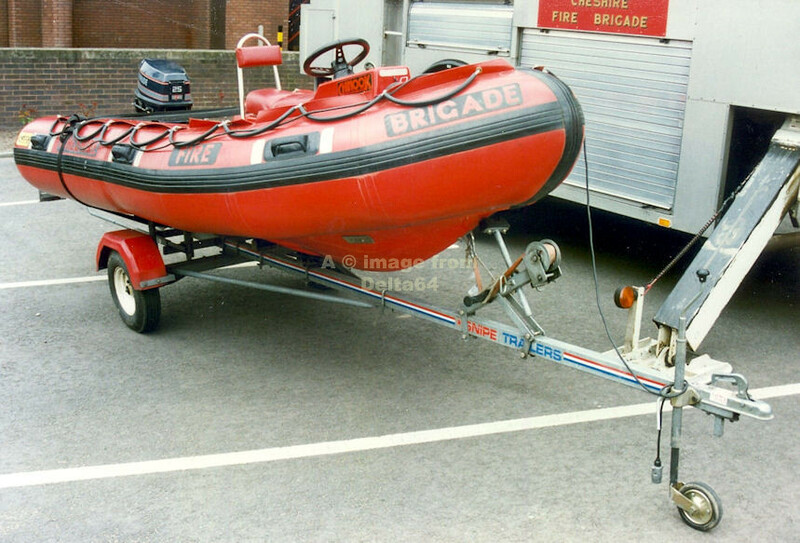 It was seen at Frodsham fire station, 9 July 2005. 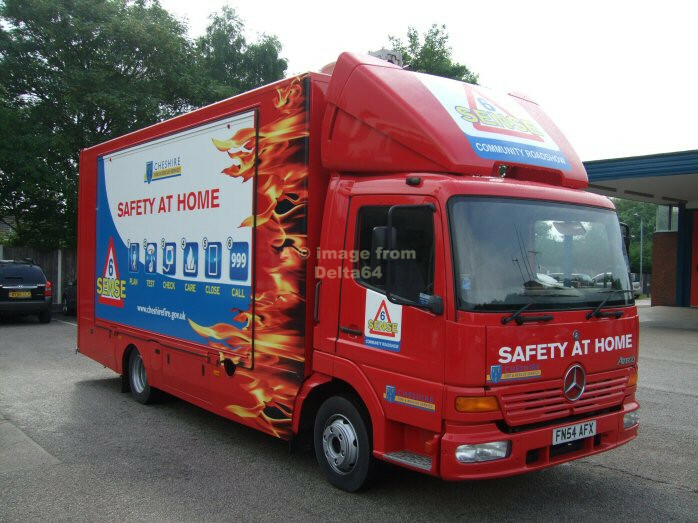 Fire Safety Vehicle AY54AVW was seen at Sandbach Fire Station, 18 June 2011. Citoren AY54FCX can also be used as a resereve Control Unit hence the blue light and radio mast. 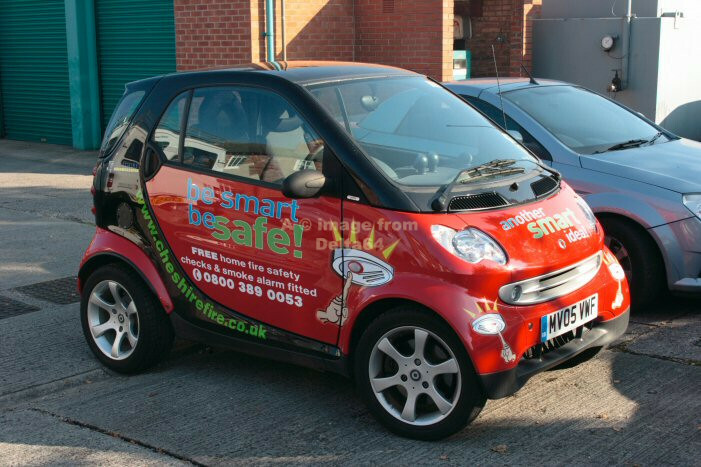 A fleet of SMART cars is operated though not all are in 'emergency' livery. 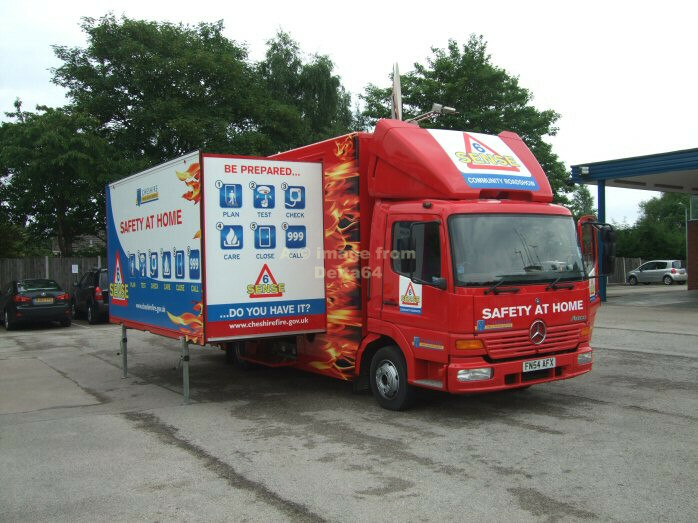 MV05VWA was seen at Winsford, 9 September 2007. 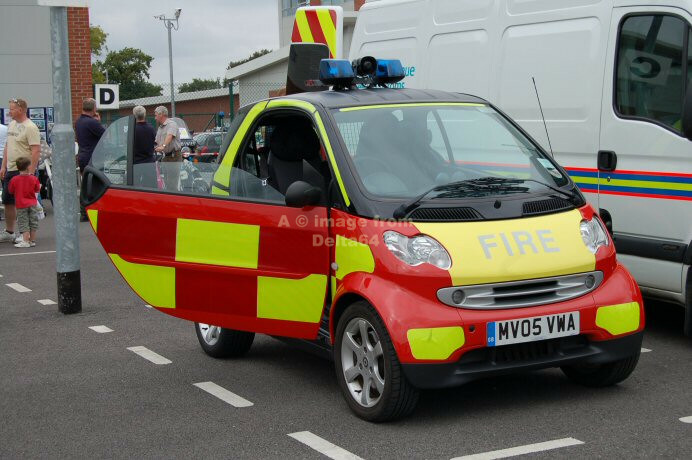 SMART car MV05VWB was seen at Frodsham Fire Station, 9 July 2005. 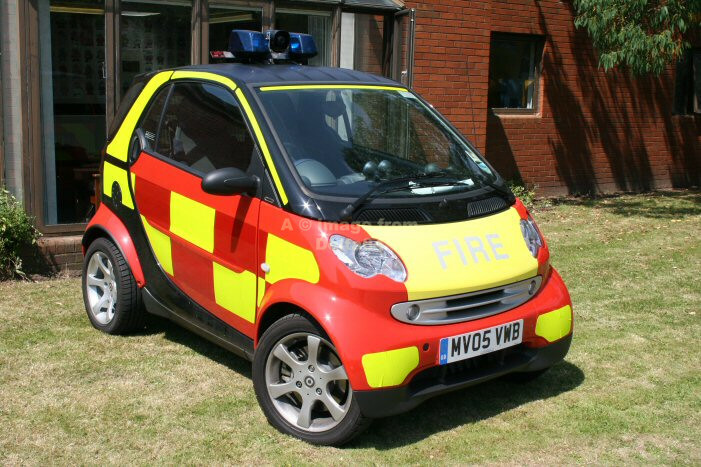 Smart car MV05VWF was adorned in fire safety livery when seen at Wilmslow, 20 October 2007. 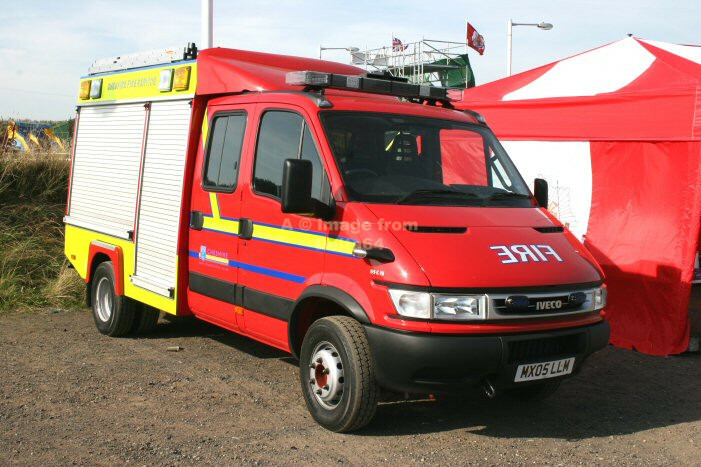 Iveco LFA MX05LLM is the second of two such appliances recently built by TVAC. 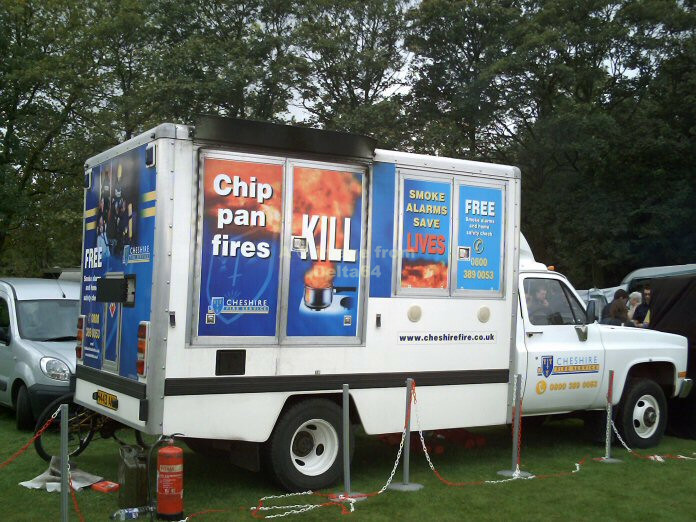 It was seen at the Greater Manchester Fire Extravaganza, Milnrow, 3 September 2005. 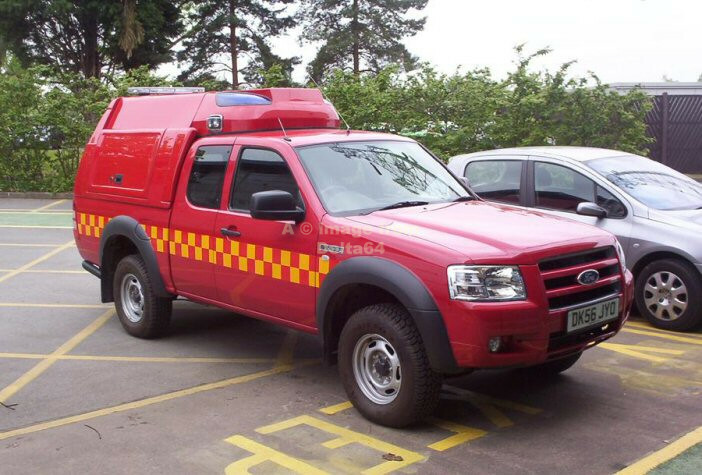 Ford Ranger DK56JYO was seen on delivery, 4 May 2007. 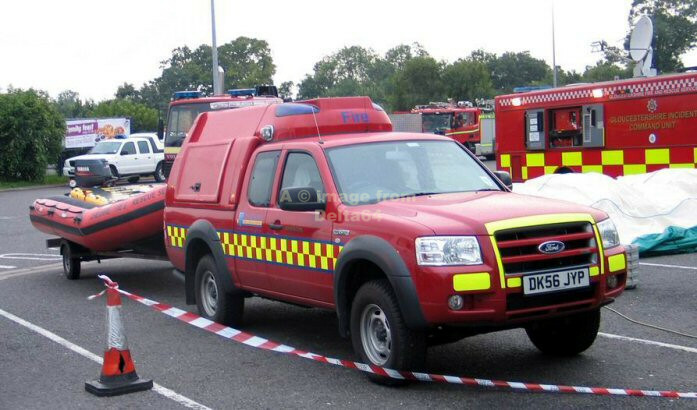 Sister appliance to that above, DK56JYP was seen at Strensham Services, Worcestershire en route to the Gloucester floods, 23 July 2007. 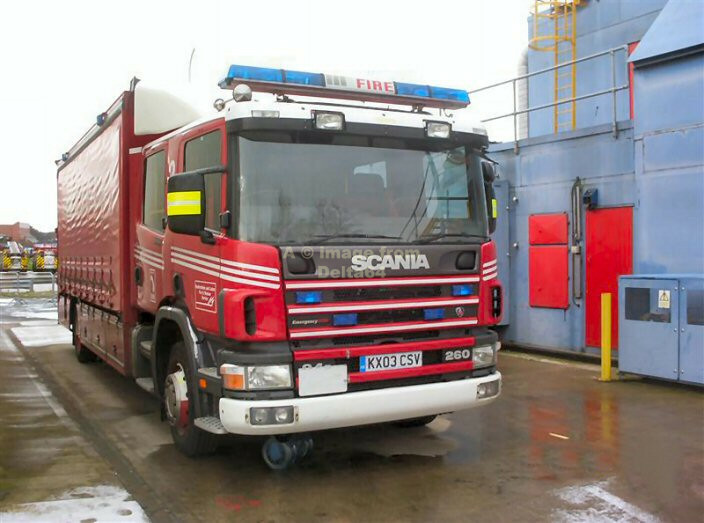 Former Bedfordshire & Luton Fire & Rescue Service Scania KX03CSV has recently been acquired. 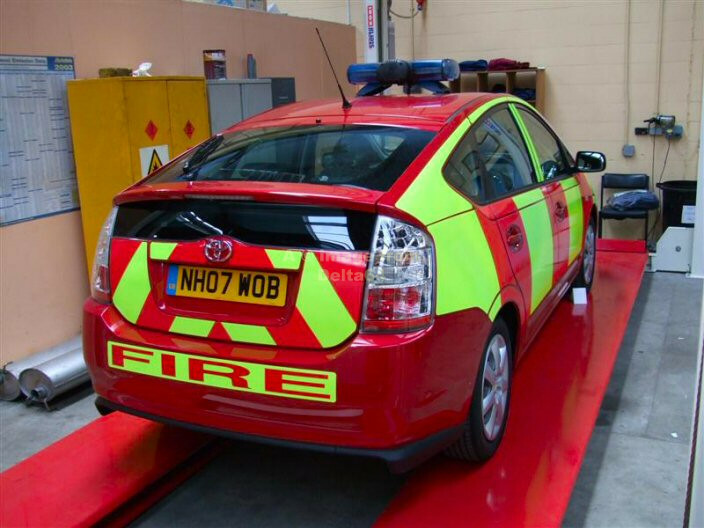 The first of a fleet of Toyota Hybrid MIC [Mobile Incident Command] Officers cars, NH07WOB was at workshops in late August 2007. MAN DK08AHX was seen at Sandbach Transport Festival, 19 April 2008. 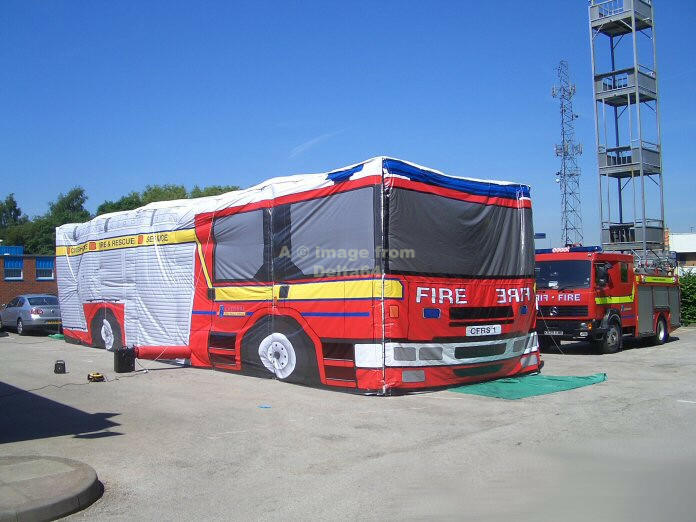 The world's largest Dennis Sabre CFRS 1 arrived in Cheshire at the beginning of June 2009.
and a section can be filled with harmless smoke for evacuation practice. 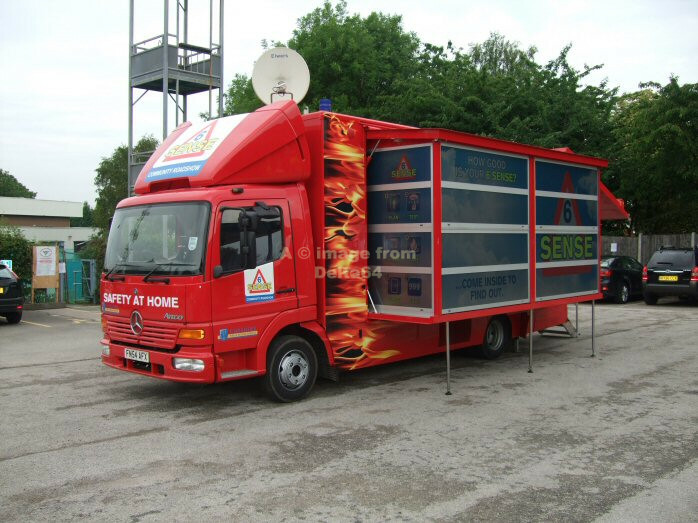 A collection of pictures of the new Community Roadshow Vehicle FN54AFX built on a Mercedes Atego chassis. 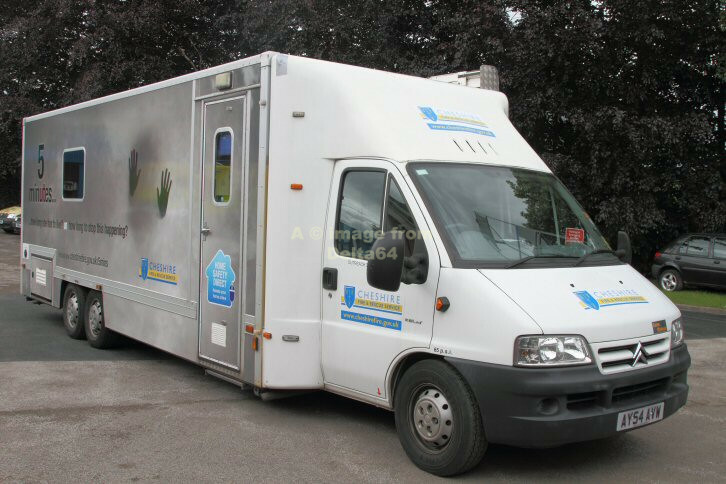 together with large plasma screen tv and dvd and pa systems etc. 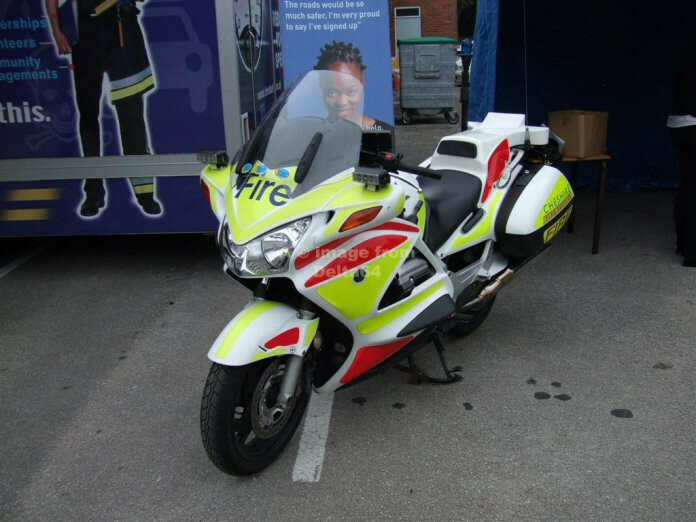 The blue beacon is for identity purposes and not for road use. 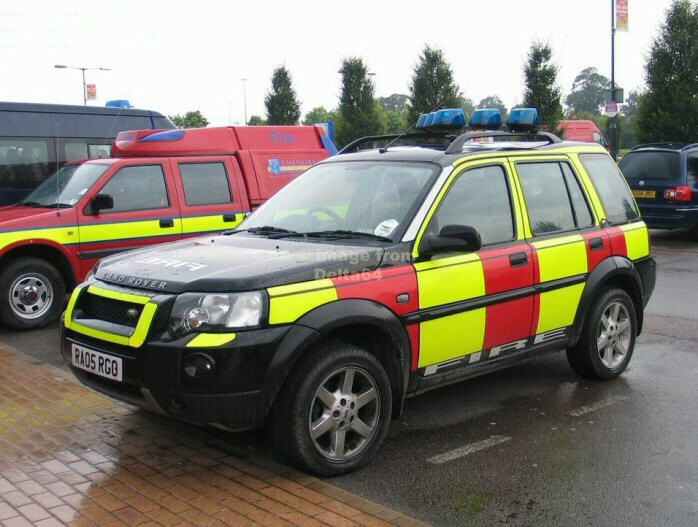 DK56OTN is one of two Range Rovers being converted to Motorway Accident Response Vehciles. Once the conversion is completed, one will be allocated to Holmes Chapel and one to Sandbach. 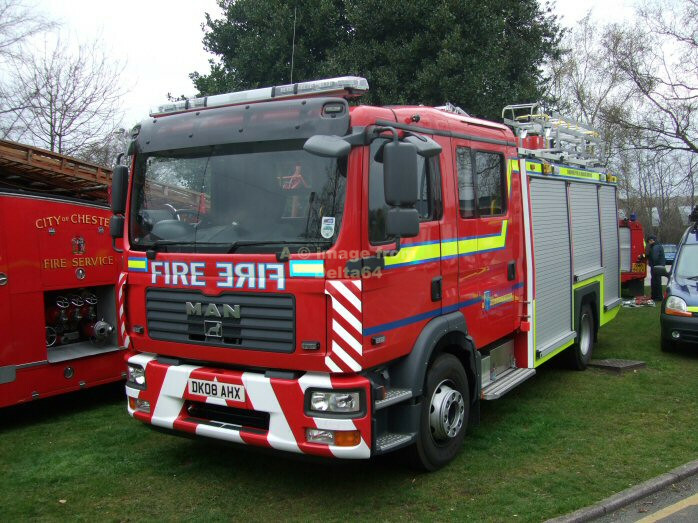 Now allocated to Sandbach, it was seen at the Open Day at Winsford, 4 July 2009. 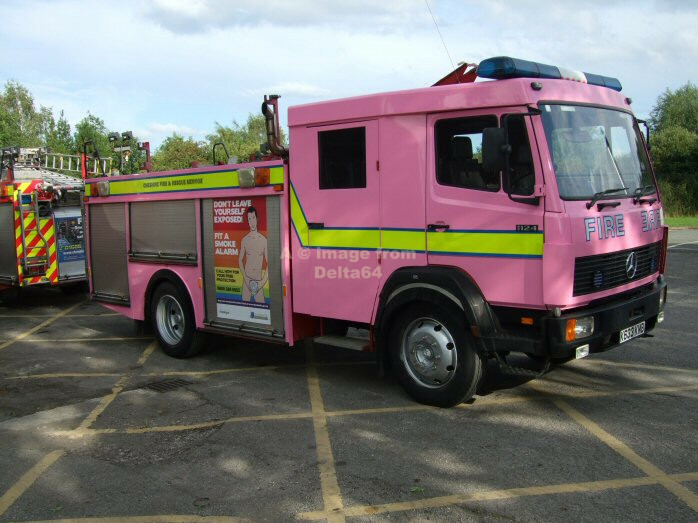 Mercedes K633KMB was 'wrapped' in pink for a forthcoming Gay Pride Festival, August 2009.